Published on May 30, 2015 in England, General T&T, International, Law, Media, Money Laundering, Sports and USA. 17 Comments Tags: FIFA, Jack Warner, Sepp Blatter. Newly re-elected Fifa president Sepp Blatter has launched an astonishing attack on the US justice system and the British media in the wake of the string of bribery charges against senior officials that plunged world football into chaos last week. Published on May 29, 2015 in England, General T&T, International, Media, Sports and USA. Closed Tags: FIFA, Sepp Blatter. FIFA’s long-time head Joseph “Sepp” Blatter has won his fifth presidential term after his opponent, Jordan’s Prince Ali bin al-Hussein, withdrew before the voting went into the second round. Blatter got 133 votes in the first round. He needed at least 139 out of the 209 votes cast on Friday to win outright. The vote was about to progress into the second round where a simple majority would have been enough, when Blatter’s opponent Jordanian Prince Ali bin al-Hussein said that he had withdrawn from the race. Published on May 27, 2015 in General T&T, ILP, International, Media, Money Laundering, Politics, Sports and USA. 13 Comments Tags: FIFA, Jack Warner. JACK Warner, who woke on Wednesday as a free man, but went to sleep accused and imprisoned, was able to make bail this afternoon, and leave the Frederick Street prison in Port of Spain. He left in a prison ambulance. JACK Warner was this afternoon granted $2.5 million bail but has failed to secure his release. In addiiton, his attorney were unable to secure an emergency sitting of a judge in the High Court, to consider his bail application. Warner is now at an unknown location. It is uncertain whether he will spend the night at the Maximum Security Prison, Arouca, or at a police station. Published on November 7, 2014 in Caribbean, General T&T and Sports. 2 Comments Tags: Cricket, Stephen Kangal. The removal of Dinesh from the captaincy of the T&T Team stinks to high heavens. It is a continuation of the victimisation of Darren Ganga when he was removed because arrogance and show -of -who-is -in-charge antics. This puerile act is to show solidarity with Cameron’s dictatorship and Jamaican hegemony. It makes the TTBC the poodle of Cameron. T&T always stood and watched the Jamaicans make fool of themselves but hardly joined such a circus that is about to set back West Indies cricket many decades. Published on June 12, 2014 in General T&T, People's Partnership, Politics and Sports. 12 Comments Tags: Anil Roberts, Marijuana, Politics, T&T Govt. There has been a clamour in some quarters for me to have taken immediate action in relation to allegations made against Minister of Sport, Anil Roberts. Published on May 22, 2014 in Crime in T&T, Drug Trade, General T&T, People's Partnership, Politics and Sports. 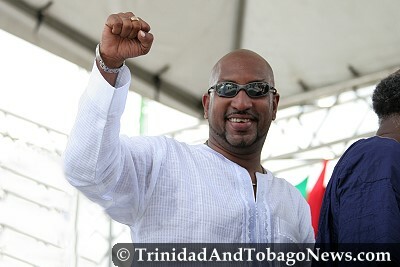 13 Comments Tags: Anil Roberts, Crime in T&T, Marijuana, Newsday, Politics, T&T Govt.